Matilda Wormwood's father is a mean crooked crook. And her mother's just plain stupid. They think Matilda is a nuisance who should watch more TV and read fewer books! But her lovely teacher Miss Honey thinks Matilda is a genius. Matilda has few extraordinary tricks up her sleeve so her horrible parents and even more horrible headmistress had better watch out. "What's wrong with the telly for heaven's sake? We've got a lovely telly with a twelve inch screen and now you come asking for a book! You're getting spoiled my girl!" I got this amazing book as a gift from one of my dearest cousins, right before I left for my visit to China. I usually take very long to finish a big book, but I read this one late into the night and finished it in less than a week! Matilda is a kind, polite, selfless and intelligent girl. She is a genius, but she sadly has no true friends. Just like David Copperfield's father warns his headmaster, Matilda's dad tells Miss Trunchbull to be careful as she is very "wild". Matilda is always bullied by The Trunchbull although the other kids in Crunchem Hall Primary School seem to like her. This novel by Roald Dahl encouraged me to read more and more. Little Matilda read books like, Nicholas Nickleby by Charles Dickens, Jane Eyre by Charlotte Bronte, Pride and Prejudice by Jane Austen, The Old Man and the Sea by Ernest Hemingway, Animal Farm by George Orwell, and Kim by Rudyard Kipling among many others at the age of four! I loved this book and could not find anything that I disliked except a few characters like Miss Trunchbull the headmistress, and Matilda's parents. Miss Honey is my favorite character apart from the heroine. I loved the way Roald Dahl ended this story. Read the book to find out about Matilda's adventures as a brilliant kid who saves the day! Note from Arpita- Anindita is my ten year old sister. She goes to Modern School and is in the fifth grade. And yes, she wrote the review without my help. I'm entering the Diwali Giveaway on her behalf since she does not have a blogger ID. Here's wishing a very happy Children's Day to everyone on ALOP! Note from Anindita- Thank you, ALOP, for letting me do my first review here! I'm so excited! The review is wonderful and honestly, I can't believe you wrote it entirely by yourself. It is that good!! I loved how you discussed about the plot without giving out all the details and doing very good character sketches. The youngest mahapatra makes an entry ! And such a beautiful review ! Lovely book and apt choice too ! your ten years old either! She is 10 years old :O wow! Watch out Arpita, she's going to surpass you soon. Amazingly clear write from a 5th standard lady. I can see her flair for writing and reading only increase over the years. Hey sweet hon, you need to meeet me!!!! We will go book shopping and hunting. Gosh Arpita, can i lift her up and swing her in the air?? Please!! thank you very much @swarnali didi i am sure you're niece will love it!!! A SPECIAL THANKS TO EVERYBODY FOR ENCOURAGING ME!!!!! Welcome to ALOP!!!! :) THis was a really good review. 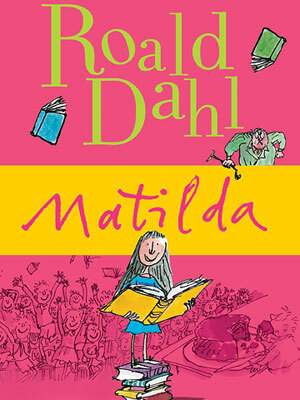 I loved Matilda and that sparked my love for Roald Dahl; although David Copperfield was not my favorite.